Block out your evening and prepare yourself for a night of college basketball binge watching. The end of college football season typically rolls right over into the meat of college basketball’s conference play, and this week’s lineup of games certainly proves that. Iowa State-Baylor is the only Wednesday night affair featuring two Top 25 teams, but there are plenty of other games with NCAA Tournament implications afoot tonight. WHY YOU SHOULD WATCH: While I’ll avoid the starting the tired “best conference” conversation that lingers over everything college football, it is fair to call the Big 12 college basketball’s deepest conference. 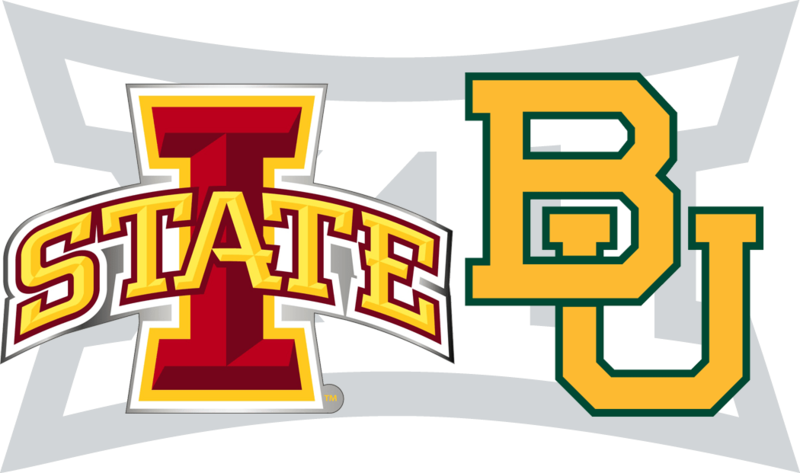 To wit, Iowa State-Baylor is the second Top-25 matchup for the Cyclones in as many outings. The Cyclones won a tremendous, back-and-forth affair Saturday at West Virginia. Another road win in the meat grinder Big 12 would have Iowa State rolling into its marquee matchup Saturday with Kansas — and looking very much like the top candidate to end the Jayhawks’ decade-plus-long stranglehold on the Big 12 championship. Baylor is that rare opponent that can match Iowa State’s athleticism, though the most intriguing matchup is a decided styles clash: the smooth Georges Niang vs. the physical banger, Rico Gathers. Here’s another fun sub-plot: Can Fred Hoiberg’s Cyclones hold Baylor below the 71 points Paul Rhoads’ football team allowed in the Iowa State-Baylor matchup this fall? WHY YOU SHOULD WATCH: Rutgers is coming off arguably the biggest win in the modern era of the program, having knocked off No. 4 Wisconsin on Sunday. Think that’s hyperbole? Tell it to Scarlet Knights head coach Eddie Jordan, who literally cried from the emotion of beating the Badgers. Can Rutgers parlay the Wisconsin win into a second straight top-15 victory? Doing so would give the Scarlet Knights the most impressive 11-7 resume in the country. WHY YOU SHOULD WATCH: NC State is in the heart of a make-or-break stretch in the ACC. The Wolfpack started its critical, six-game run with a loss at Virginia — which, for my money, has looked like the best team in the nation — but rallied with a 55-percent shooting effort in an 87-75 win over previously undefeated Duke. Defending its home court against another ranked, in-state rival would have the Pack in great shape for the end of this important month when they face Miami and Notre Dame. Carolina has been exceedingly difficult to get a beat on; the Tar Heels went ice-cold down the stretch in a home loss last week to Notre Dame, yet finished red-hot late to upend Louisville on Saturday. In both games, Carolina went down early and had to claw to get back into it. Duke proved that’s a poor strategy against this Wolfpack team. The Heels must go to big man Kennedy Meeks early and often, but also keep him out of foul trouble. NC State can go deep in the post thanks to the rejuvenated Beejay Anya. WHY YOU SHOULD WATCH: While it’s still early, this feels like a de facto Mountain West championship bout now that Colorado State’s been deflated. Wyoming is one of the hottest teams in the country, rolling off seven wins since a three-point loss at Cal in early December. Among those was last week’s victory at CSU to put the Cowboys firmly ahead of the pack in the Mountain West. San Diego State is in need of another signature win. The Aztecs beat Utah and BYU in November (and the luster is off the latter win somewhat, since the Cougars dropped a home game to Pepperdine). Since, they have losses against every other high-profile opponent they’ve faced: Arizona, Washington and Cincinnati. Add a confounding defeat against Fresno State, and tonight’s road game feels about as close to desperation time as a team could be this early in MWC play. Given this game is in Cowboy Country, it’d be fitting if the court had a barbed wire perimeter. It certainly fits each team’s style of play: Wyoming is third in the nation in opponent point per game average, allowing just 52.2, while San Diego State is fourth at 53.5. WHY YOU SHOULD WATCH: Stanford boasts one of the Pac-12’s more impressive resume wins, 74-71 over Texas in overtime late last month. Otherwise, the Cardinal have work to do to truly solidify themselves as an NCAA Tournament team — particularly coming off a double-overtime loss at sputtering UCLA. Tonight’s matchup with rival Cal is very much similar to the UCLA contest in that the Golden Bears are in dire straits. Cal is 11-6 and fading fast, with losses in five of its last six. The Bears were blown out in each of last weekend’s games at the Los Angeles schools. In desperate need of a win and facing its rival, expect Cal to throw the kitchen sink tonight at Stanford. The Golden Bears get back perimeter player Jabari Bird, and not a moment too soon.